Lloyd Mugwagwa (24) yesterday appeared before Harare Magistrate court on Monday facing charges of contravening section 35(e) of the Zimbabwe Schools Examination Council, (ZIMSEC) act, chapter 19;74 after he forged Ordinary Level qualifications to secure a United States of America scholarship. The fact of the matter is that Mugwagwa, who resides at number 5114 Glen Norah B presented a forged certificate to a USA institution with intent gaining admission. 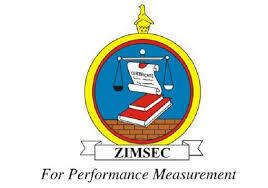 On 15 September 2018, the accused person went to the Embassy of America in possession of a forged Ordinary level ZIMSEC certificate for November 2009 session and Advanced level of November 2011 session which he tendered to the authorities at American embassy to obtain a scholarship to study at University Central of Okhlama. The authorities at the American embassy then forwarded the accused’s copy of certificates to ZIMSEC for verification who confirmed that Mugwagwa’s papers were fake. The court heard that complainant, Freeman Kondo who represented the American Embassy, checked and discovered that the accused did not sit for the said ZIMSEC examinations before reporting the matter to the police.